H.O.M.E. Program for Seniors | Full Circle Home Care Inc.
Are you seriously considering moving from your home simply because your beloved home, filled with all your precious memories, is becoming difficult to manage? Worry no more. In addition to our professional in-home care, Full Circle Home Care has a one-of-a-kind H.O.M.E. Maintenance Program completely designed with you in mind. It may be difficult to enjoy retirement if you’re constantly trying to manage your property upkeep. In addition to physical help with personal care, seniors may also need care for the home itself. Whether you need a leaky faucet fixed, your lawn cut once a week, or even your home prepared for winter and summer each year, Full Circle Home Care has you covered. From changing light bulbs and furnace filters to raking leaves and shoveling snow, you can now stay home forever. H.O.M.E. (Household and Outside Maintenance for Elderly) is a unique program targeting the special needs of senior homeowners. 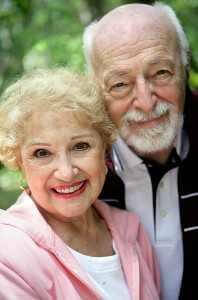 We support the age network concept of AGING IN PLACE by helping assure a physically safe and healthful home. Specifically, the program corrects unsafe housing conditions (while contained at a manageable scale), which if left unattended; threaten the immediate health and safety of elders at home as well as the structural integrity of their homes. Our H.O.M.E. Maintenance Program is a way of providing seniors with yet another tool to maintain their independence at home. Managing the homestead can often be physically exhausting, and sometimes even dangerous, which is why many seniors often feel that a move into a Retirement Community is necessary. However, with Full Circle Home Care H.O.M.E. Maintenance Program, seniors can assign a wide variety of property upkeep tasks to be fulfilled by one of our professional, trained Handymen. Our senior-friendly Handyman will perform a comprehensive Home Safety Inspection and give you a detailed report of repairs that may be necessary for your home. From there, we’ll work with you to set up a one-time or recurring service plan for ongoing home & property maintenance needs. Seniors who want to age gracefully in their own homes may find that simple home modifications will improve their quality of life, reduce opportunities for accidents and extend the period of time they can spend living independently. According to the Public Health Agency of Canada, nearly half of all injuries among seniors occur in the home. Research shows that older people often put off repairs and maintenance because they feel it’s too hard and would cost too much. But there is a greater cost – older people struggle to stay healthy if their house is cold, uncomfortable or unsafe. Full Circle Home Care has created these practical checklist tools to help people assess what repairs and maintenance work need to be done and who the best person is to do it. The H.O.M.E. Tool is a checklist that helps you go through your home, room-by-room, to identify things that need repair, need maintenance or are considered unsafe. The H.O.M.E. Tool suggests solutions to fix any problems and who to contact. Then use the Action Sheet to make yourself a plan of what repairs are going to be done by whom and when. Please Contact Us for a free copy of the H.O.M.E. Checklist. The Support Services Provider Tool is very similar to the H.O.M.E. Tool but is designed and is used by Full Circle Home Care when we undertake a free home care assessment to seniors who are looking for support to stay in their home. Call to learn more about how Full Circle Integrated Home Care can care for you & your home, so you never have to move. With our H.O.M.E. Senior Program, there are never any hidden fees, and our convenient monthly service plans are a great way to save even more! All service times are pre-arranged, so you’ll never be surprised by an unexpected handyman. And, when we say we’ll be there, we’ll be there! We are licensed, bonded, and insured. Every Full Circle Integrated Home Care handyman is punctual, reliable, and has undergone a complete background check for your peace of mind. At Full Circle Home Care, quality service is always guaranteed! To schedule a consultation regarding your property needs, please call us today!